HAVE YOU JUST HAD A LUNG AGE OR COPD TEST THE VIDEOS BELOW WILL HELP YOU UNDERSTAND COPD - As you will see from the link below from Lung Foundation Australia there are many lung conditions that may have effected your test today. Please start by completing the online test at the top right of this screen. 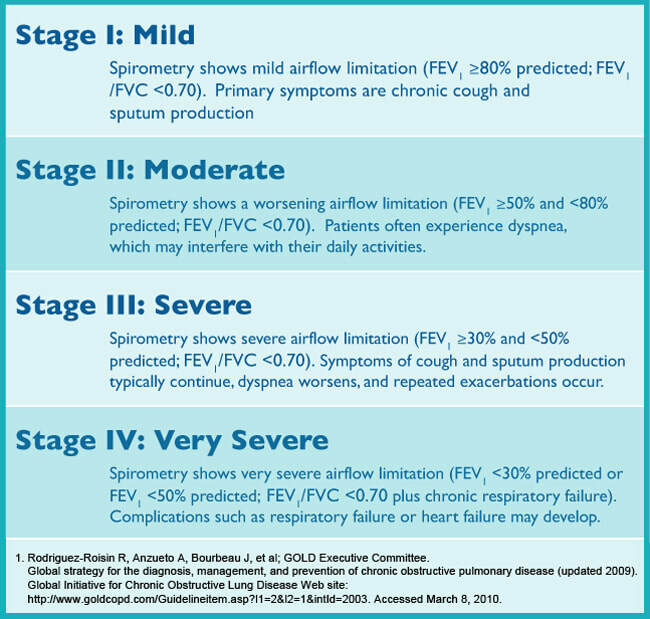 FEV1 is the forced expiratory volume or the amount we can blow out in one second after filling our lungs. They look at how close this is to what would be predicted as "normal" for someone of your height, age, etc. Then they give the results as a percentage. So if you do a good strong blow and have healthy lungs you may reach 80% of what would have been predicted (which would be good). You may only manage to blow out 15% or less (which would be very poor). So your FEV1 % is a marker for the degree of obstruction in your lungs. COPD test results will need to be confirmed through more detailed tests with your family doctor. ​Please show your results to your GP and ask for further testing. Please also take the following online test - take these results to your doctor along with your COPD test results.